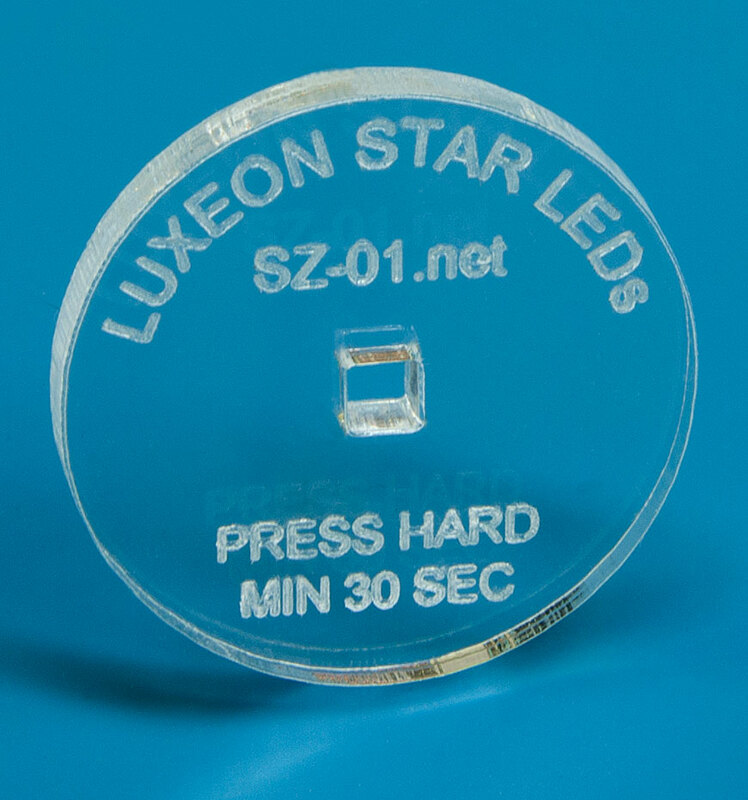 The LP-Z1 Assembly Press tool is designed to apply even pressure to single LUXEON Z LED assemblies when using thermal tape or Arctic Silver to fasten the assembly to a heatsink. The press can be used to apply pressure by hand, clamps or weights, without the risk of damaging the mounted LEDs. An LP-Z1 Assembly Press tool is included free of charge with every order of pre-cut thermal tape for single LUXEON Z LED assemblies. There is no need to order this part.